Today one of the most horrible things happened to me. I was laid on my bed after having a tickle fight with Izzy, just shutting my eyes for a moment. Ah...peace. Then out of no where Izzy mouth was over my nose and before I could react she blew a raspberry on and up my nose. A few weeks ago I came across Preschool Alphabet. A blog that pretty much describes itself in the title! I had never thought of introducing letters yet with Izzy, and I'm not sure why as we've started with numbers. Lindsay shows you how to really make learning fun and as a bonus you get some pretty artwork! 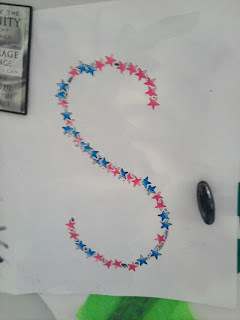 She recommends when starting with a letter to introduce its shape first and then to stick things to it that begin with that letter (we used star stickers). 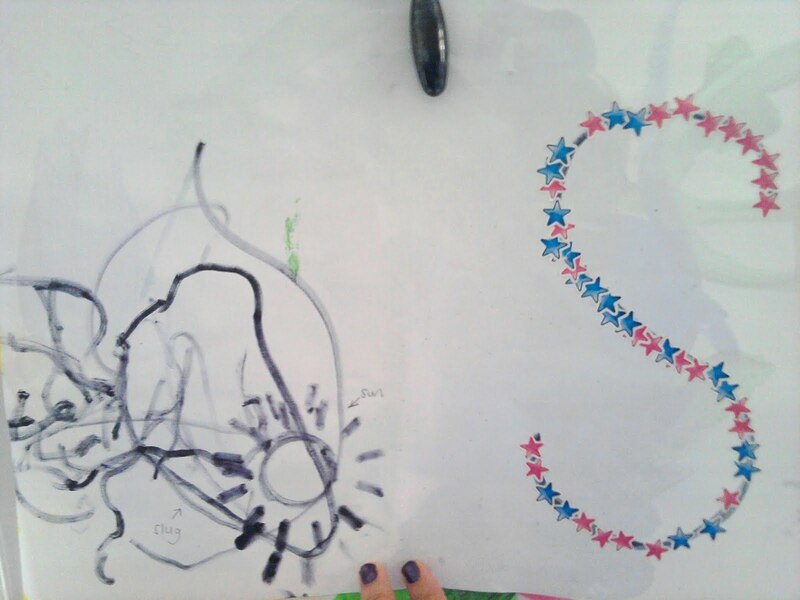 We also then drew pictures on the other side beginning with 's'. 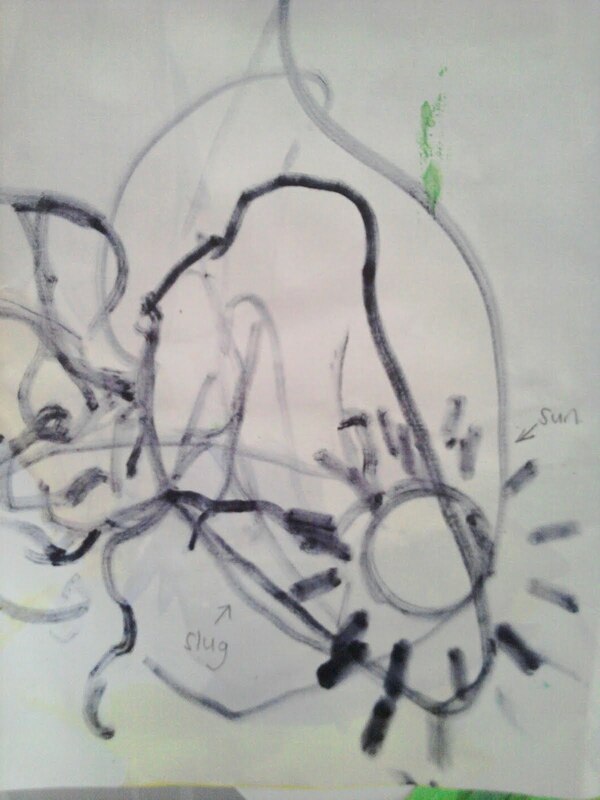 She drew a slug by herself, and while I was putting Ethan down for his nap she grabbed a stencil and traced the sun shape! I was beyond proud! Ethan enjoyed doing squiggles too, and especially holding the pen while I wrote his name or drew pictures. I'm so glad I found her blog. She has a ton of ideas for each letter, enough to take up a week. I'm going to start properly in September when she begins preschool properly. Oh my goodness, that raspberry did not sound like fun!! haha I love Preschool Alphabet too! Looks like you are off to a great start with introducing the letters. Sounds like fun!